G’day! 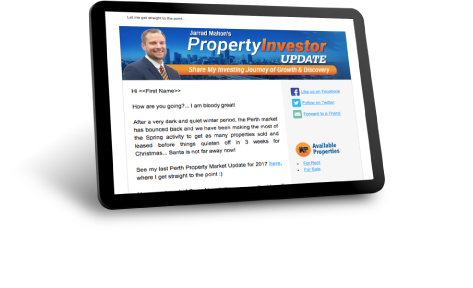 Jarrad Mahon here from Investors Edge Real Estate bringing you my last Perth Property Market Update for 2017 and it’s going to be a punchy one. 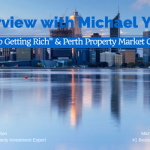 I’m gonna show you deep into the Perth Sale Market, the Rental Market and a few of my insights along the way. So I’m gonna launch straight into it. 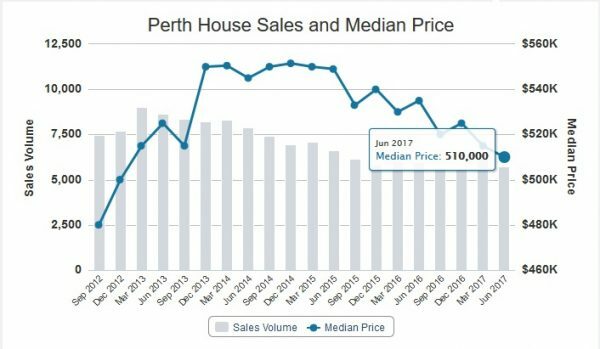 Perth sale market median price is now at $510,000. We’ve come off a really dark winter into a pretty buoyant spring where we’ve had turnover increase and the market re-bound. 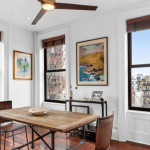 But the market is very sensitive on both price and presentation for the rental market and the sale market. Both have to be perfect in order to find your tenant or get your house sold. When we actually look at the trend, and I love to draw trend to look at where the market is heading to over time, we can see here that we actually peaked our top of supply back in November 2015. And it’s great to have hindsight and be able to see that we’ve generally been trending back in the number for sale since then. So that’s a big positive, it looks like in many ways, the market has been improving since then. So we’ve actually had, we’ve got less properties on the market than we did have six months ago by 6% and we’ve also got less properties on the market than we had a year ago by 3.5%. So that’s a great sign that the market is better off than we were six months ago and a year ago. When we look at the number sold, you can see that that’s gradually been increasing in an increasing trend month per month. And we’ve got 1.2% on average being sold more weekly compared to six months ago and we’ve got 8% being sold more weekly as opposed to a year ago. Again another very positive sign that we’ve started to get to the bottom of our market. You can also see here this dip in the number being sold across our winter, very dark winter, very slow and we’ve rebounded back in line with our longer-term trend coming into these last couple of months of spring. That’s a great sign that we’ve picked back up again. We’ve really only got one more month until the market shuts down over Christmas. 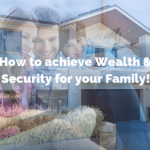 So if you are going on the market or you are already on, you really want to do what’s needed to get your property sold or rented otherwise you’ll have vacancy over a couple of months until mid to late January when the market returns. Now, even though we’ve got improving trends in the number for sale and improving trends in the number sold, what we ultimately need is for improving trend in price and on days on market. So those first two indicators of supply and amount being sold always lead the indicators. And then once the market firms up in supply and demand, then we see the days on market turn and come back and we’re looking for that and we’d see the price start to rebound. So we’ve got those first two turn, we can see that the days on market still gradually increasing so no turnaround in that. 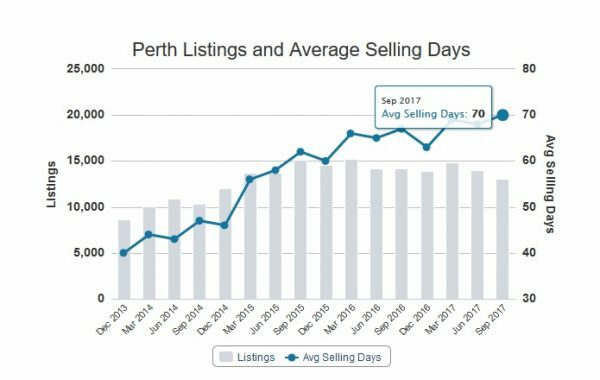 And we’re at 70 days average selling time in Perth up from 67 in the quarter before. And you can see that our median house price for houses has continued its trend down. It has the momentary little blip up but the overall trend has been down and we’re currently at $510. When you look at the median prices for units it’s gonna be a lot more pain there and the median it’s now down at $410. It’s had quite a sharp a little back off in the last year and you could almost say that it’s trend has been increasingly down. So the houses market will rebound first and we’re already seeing that in some suburbs and then the unit market will likely follow 12 to 18 months later. 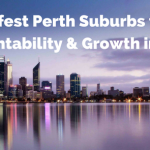 I’ll be going to the Perth Rental Market, we have a unique perspective across Perth. 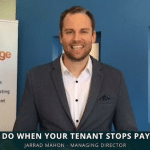 Obviously we’re Property Management Specialist in 170 other suburbs and we have been working very hard to get everything rented. I want no properties for rent left on our books. We usually have between 50 and 60 properties for rent at any one time and we’re now down to just 19. So we’re trying to get them all gone before Christmas. You can see that the number for rent has had an overall downward trend which is positive similar to the same I’ve been, it’s trend has been down. And we’ve hit a new low compared with six months ago and a new low compared with a year ago. So that’s starting to improve and look nicer for us landlords. 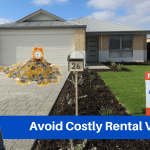 However, the rental vacancy rate hasn’t yet properly turned around and you can see that the number of properties vacant on average across Perth, the vacancy rate has been increasing over time. And we had particularly dark winter hitting our maximum that we’ve had in my report of history of 7.6%. Great to see that that’s popped back down to 6.9% in the last month and hopefully will start the new year and reverse this upward trend but still continuing upward by all observations at the moment. Median rent has flat line at $350, so again, the true test of us bottoming will be when this starts to increase and starts coming back up. You can see that it’s continuing to get worse compared with six months ago we’re down to 2.8% and we’re down 7.9% on a year ago. 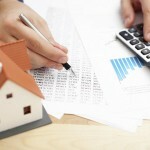 Again price follows the overall supply and demand in the market. 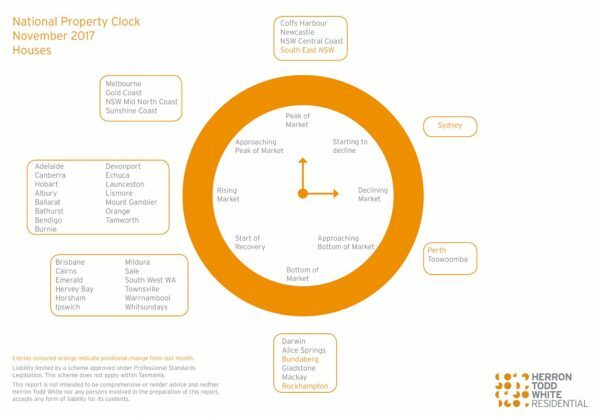 Timing the property clock, I just quickly touch on where Perth sits in relation to the other states. I did send an email out earlier last week commenting on some of that finance are buying into Brisbane and we’re facilitating that. 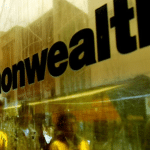 You notice that Brisbane is at its start of recovery phase. 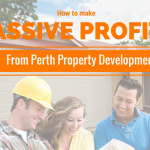 It’s a few stages around further than where Perth’s at. Herron Todd White actually listed us as having bottomed last month and now they’ve got us back in the approaching bottom of phase. I definitely think we have not properly bottomed as the stats previously indicated, we haven’t fully shown that we’ve hit that bottom yet and so we’re still in this approaching bottom phase and I would agree with that. Sydney has come around now to starting to decline, that’s notable and you can see that Melbourne is approaching its peak of the market. 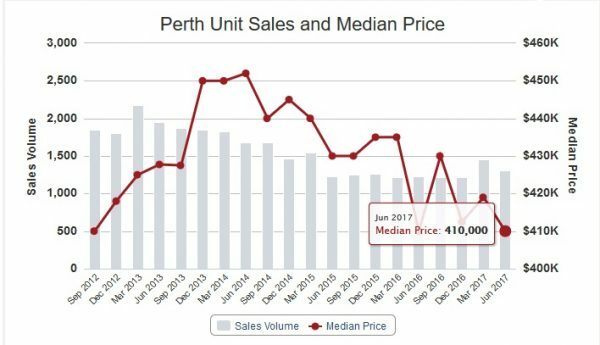 Again, units, the market is generally behind where the sale market’s at, our Perth’s units are still in a declining market and have got some time before. So there’s a very deep, quick, in-depth look at where the sale and the rental market is. 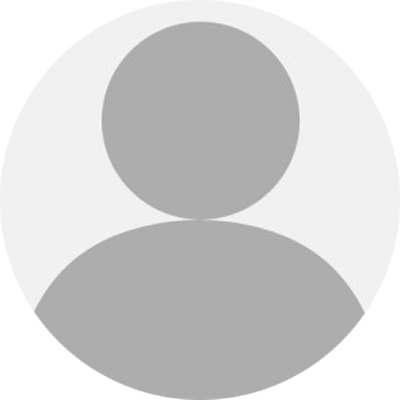 If you want specific advice on your properties and want help on working out your different options, do get in touch, I’m always happy to give you my free assistance. 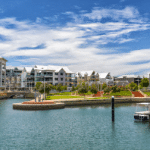 Open House Perth Open House Perth Architecture Design and InteriorsShould You Consider Using Open Negotiation to Sell Your Perth Property?